Photo shows model with 3 units and 7 tiers. 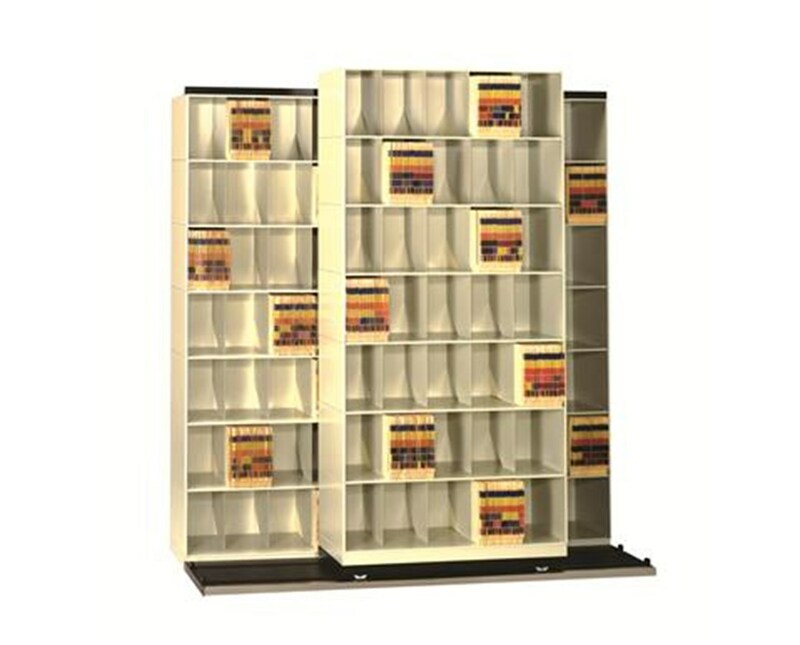 Datum Vu-Stak® BiSlider™ open shelf medical filing units are designed to use a minimal amount of office floor space while vastly increasing storage capacity and providing your medical office staff easy accessibility to vital records. Just a light push moves the 36" wide Vu-Stak® shelving units along the two-track BiSlider™, featuring ball-bearing construction, four wheels per carriage, and specially-designed rubber end stops for quiet, smooth, and easy operation. 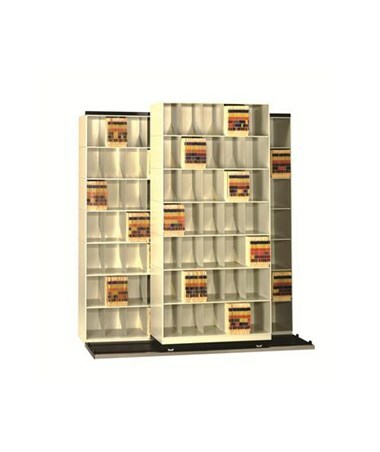 Five 36" wide, 6-tier VuStak® letter-size open shelf filing units, including top and base sets. Overall Height 69-3/4", 90-1/2", 80-1/8"
Filing Capacity (LFI) 1050", 1400", 1225"
Five 36" wide top and base sets for for slanted-tier, letter-size filing units.